This Health Center Feels Like Home. 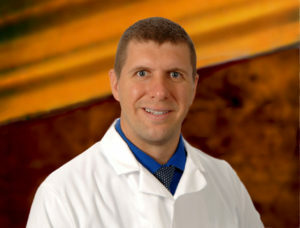 Meet Physician Assistant Matthew Thuja! Matthew Thuja has always had a strong interest in all aspects of medicine. From working with people, to the science behind it, and to serving his community — he loves the fact that there are so many different ways to enjoy a medical career. Matthew chose to work as a primary care physician assistant because it allows him to develop long-term relationships with his patients. His approach to patient care is to not only treat the illness, but to also prevent it and promote wellness. He says, “Sometimes problems can be treated very effectively by natural methods which may include exercise, a healthy diet, and even strengthening social relationships.” While medication does play an important role in treatment, Matthew believes that it is only one piece of a bigger picture. From a small town in Western New York, Matthew decided to work at a community health center because “it felt like home.” He was also drawn to a community health center because of its commitment to treating everyone – no matter their occupation or where they are from. In his spare time, Matthew loves to read and go camping or hiking with his wife.